The unity referenced in discussions (ecumenical or administrative) is rarely more than political or organizational. Schism is indeed a frightful thing, but not because it creates organizational and administrative problems. Schism risks a diminished participation in the life of God (at the very least), and the establishing of an alternative notion of salvation itself. That God Himself is one is not a description of “how many Gods exist.” It is, instead, a reference to the very mode of God’s existing. As such, it is also a description of the mode of the life of salvation. To be saved, to live the life that is being saved “from day to day in fear and trembling” is nothing other than a mystical participation in the one life of the one God. Indeed, there is no other true existence. Christ’s prayer for us is not a plea for our future well-being, but a priestly prayer for our true participation and continuation in the One Life that is the only life. Such statements are possible because the Church is the death and resurrection of Christ in this world. It is salvation. The Church does not, and cannot exist apart from salvation itself. They are not two things! And it is precisely in the aspect of “One” that the Cup seems to be problematic for us. As we draw near to the Cup, our proper desire should be to be one with Christ – that He may dwell in us and we in Him. We cannot approach the Cup with reservations – “I want to be One with Christ, but I reserve the right to my own opinions and actions.” It is simply a contradiction in terms. By the same token, we do not approach the Cup with reservations towards one another: “I want to be one with Christ but not one with him.” It is a sacrament of love which can never be a private moment between us and Christ alone. This highlights the fragmentation that exists among Christians. For many, the Common Cup is, at best, a sign of the hope that someday we all might be one, or, at worst, only the expression of their private devotion. The refusal to extend the Common Cup on such a basis becomes a scandal for many. But for the Orthodox, the Cup is not a sign of hope, nor a private expression. It is the full and true reality of our present communion and participation in the One life of Christ. The pain and scandal we experience when the Cup is refused to us, or when we must refuse the Cup ourselves, is nothing less than the judgment of God in the face of the one life of Christ. And the shame (and anger) we feel should be rightly directed – not towards a change of doctrine and practice, but towards a change within ourselves. When the conversation turns outward, and we seek to find a solution outside of ourselves, the entire reality of true union is shattered. The Rich Young Ruler came to Christ and wanted to know what he could do to “inherit eternal life.” This is the question of true participation in the life of Christ. He is directed towards the commandments. Embracing them (or so he thinks), he wonders what more he can do (he recognizes that something is lacking). He is told to sell everything, give it to the poor and follow Christ. He goes away sad. Could he have protested that Christ was asking too much? Could he have pointed to others who had been asked less? Could he have discussed Christ’s implied economic theory and its unworkable demands? None of these things would have gained him true participation in Christ. None of our own protestations regarding the Common Cup make any difference. True, most groups of Christians have dropped most requirements surrounding the Cup. Rich Young Rulers are now welcome. They are very often elected to governing boards and are considered to be important members of the community. They are often asked to speak and share the secrets of their success. Whatever is found in the Cup today, for most, it is not a true participation in the one life of Christ. Christ’s High Priestly Prayer, is the declared intention of God to invite us into the life of true salvation. That life is nothing other than and nothing less than the very life of God Himself. It is not a fellowship of those who are fond of Jesus. It is not a token of membership. It is not a hope for something that will happen at a later time. It is not a sacrament of goodwill. Stand in fear, O soul, as you look upon the deifying Blood for it is fire and burns the unworthy. May the divine Body sanctify and nourish me. May it deify my soul and wondrously feed my mind. You have sweetened my longing for You, O Christ and transfigured me with Your love. Let my sins be consumed in the immaterial fire and grant me to be filled with Your joy, that I may rejoice in both and glorify Your coming, O good One. These things give me courage, rejoicing and trembling, they give me wings, my Christ, and I place my hope in the abundance of Your grace to us. I partake of the fire though I am dry grass. O wonder! – I am refreshed and not burned, as the bush of long ago, which was in flames but not consumed. Therefore, thankful in mind, heart and to the depths of my soul and body, I bow before You in worship and glorify You, my God, who are truly blessed now and in all ages. Amen. Contemporary Christianity has taken the fire out of communion. As such, it becomes not the Common Cup, but merely a common cup. No fire. No God. The One True God burns. What a wonderful photo Father! Is this the altar table at St. Anne’s? I so look forward to visiting some day soon…! Happy Valentine’s Day to all here! What Orthodox Saints do we commemorate today? New calendar: St. Cyril, Apostle to the Slavs, and Ven. Auxentius. This is indeed our altar at St. Anne. My son can be seen in the photo (he is serving). Thank you for the Saints’ names..
Today is the one year memorial day for the twenty one new martyrs of Libya. God give rest to their souls. Thank you! The error of separating Church from Salvation is unnoticed, yet it truly is poisonous to our souls. We’re in ecumenical agreement that we need to continue to disagree. Lord I consume YOU that YOU may be all in all in me as the FATHER and the SPIRIT are all in all in YOU. And I ask YOU to consume me that I may be all in all in YOU as YOU are all in all in the FATHER and the SPIRIT. From St. Anne’s west (Corvallis, OR.) to St. Anne’s east, thank you for this. It clarifies my thoughts on this most critical issue. I am sorry to have missed you when you were so close to us (4 hours south). Maybe on your next visit to the left coast you could swing up our way. We would love to hoste you and your family. God bless. God’s fire only burns if I resist it. If I do not resist, what is consumed in me is unholiness. My mom use to always say & tell us “Thank God for All Things”. Indeed similar your chosen words. In the Eastern Rite Churches, the two sacraments of baptism and confirmation are seen as being in conjunction with one another and inseparable while in the Western Rite Churches they are not. Precisely how significant is receiving confirmation important to becoming one in the life of Christ. I understand it makes one a soldier of Christ but when it is not available to someone in the Western Rite does their participation in the life of Christ fall short though they desire to be confirmed nonetheless? Is lack of confirmation traditionally a barrier also to communion as I know one Traditionalist Catholic who has not been confirmed who receives communion. A reflection on Holy communion: yesterday I celebrated Liturgy at a church that is much larger than my home church. I waited in line to receive the Eucharist for 20 to 30 minutes. As I waited I realized that those who were walking past me to return to their seats were carrying the Body and Blood of Christ in them. I felt as if I should bow toward them. So many people had received Holy Communion at that moment and I had a deep sense of how Christ himself was distributed amongst all of us, filling the room, the church, and that we were actually His Body. Him. Wonderful reflection, Presvytera Christine! I pray to never be the reason anyone approaches the Cup falsely. Glory to God. The separation of chrismation and baptism as normative in the West, seems rather strange to the East. It is a historical development that seems to have gone wrong. From an Orthodox point of view, not Chrismating an infant seems both wrong and even perverse – like refusing to baptize them. That notion of “age of discretion” is foreign to the Orthodox mind and is fraught with the danger of error. Worse still is refusing communion to infants or children before a certain age. This, too, is similar to denying them baptism, and makes the possible grave error of thinking of them as somehow less than full participants in the life of Christ. This latter example that you give is simply one of many unnecessary problems created by Western practice. It should never come up. Chrismation in the East is not generally seen as clearly distinct from Holy Baptism. It belongs to it under most normal circumstances. When, for example, we receive a convert by the use of Holy Chrism, we are not thereby declaring that their Baptism outside of Orthodoxy is “valid.” “Valid” is pretty much a non-category in Orthodox understanding. There is only one Baptism, and this resides in the Orthodox Church. The acceptance of a person through Chrismation is an “economy,” an exercise in generosity that is within the Church’s authority – but does not intend to make any statement one way or another about sacramental actions outside of Orthodoxy. There is a sense, that Chrismation completes something that was defective or lacking and renders further questioning to be moot. The only question is the union with the Church. How that is done is under the guidance of a Holy Synod of Bishops and has often varied in place to place. The sacraments are not a thing to themselves. Baptism doesn’t exist outside of the Church as a “thing.” It is a union with the death and resurrection of Christ in the one life of the Church. If something has been lacking in that – then it is corrected by whatever means the Bishops choose. Historically, the Church has sought to minimize what is required of those living in schism to return to the Church – in order to make it easier. Thus, some are received merely by confession (those who are Oriental Orthodox, for example). Others are received by confession and Chrismation (such as Catholics, and some who have been “baptized” in the Trinity). It gets kind of complex. Within Orthodoxy, there are differences of opinion about how this economy should be applied. The strictest application insists that we baptize all converts, no matter of what has been done elsewhere. This is not “incorrect” from an Orthodox point of view – it is not a Second Baptism or denial of the doctrine of One Baptism. It’s simply an insistence on strictness (akrivia) rather than economy. Obviously, there is a falling short of the fullness of participation in Christ on some level in all of this. I do not want to assert that simply being Orthodox is enough. The point is union with Christ. When I was an Anglican, and yet believed Orthodoxy to be the truth – this was especially true over the course of my last 7 years of Anglicanism when I was “journeying” towards Orthodoxy – I was in a strange sort of place. I celebrated Mass and communed, even though I knew that something was missing. I lived in an awkward state of sort of “in-between,” a sort of impaired communion. I do not recommend it to anyone. It simply was the fact of my life and part of the sometimes less-than-simple process of conversion (particularly for clergy). I did not think (nor now) that I had no communion with Christ. But I was aware that things weren’t right. There’s not a theological way to describe things that are “not right.” Grace simply has to cover such messes. When I was received into the Church (through Chrismation), I was, of course, not received as a priest (my Anglican ordination had no standing in Orthodoxy). But I was immmediately appointed as the “lay pastor” for a new Orthodox mission. The process for my retraining and eventual ordination began immediately. Interestingly, my beloved Archbishop directed that I was to wear a cassock during services (which I more or less lead as a Reader) and that the mission congregation was to address me as “Fr. Stephen.” “Priests are born,” he said. “Ordination simply reveals them.” It was typical of his kindness and generosity. I was again in something of an awkward state. A priest, not yet revealed. Grace is strange and wonderful. In the ordination of a priest in the Orthodox Church, the Holy Spirit is invoked as the One who “completes that which is lacking.” It’s a very rich phrase, pregnant with meaning and promise. It does not say there is nothing there, but that something is lacking. This territory is something that can be described experientially, but not accounted for theologically. It is a movement towards rather than a thing itself. By itself, it is really not anything at all, I suppose. But grace gives it substance and supports us in the insane half-measures and odd compromises of our late modern experiences. Of course, all of creation was brought into existence out of nothing, so this is nothing new. What galls us, is ever having someone describe our lives as “not really anything at all.” And so, the Christian life lived outside of the One Church often demands that some status be accorded to it. Then we get false notions of “sister Churches,” or “many Churches,” when there can only be one, just as there is One God. Or, the “one” of the Church is accorded some “invisible” status that has no power to burn whatsoever. It’s a modern fiction, born in 19th century America. Thus, we are scorched in our ecclesial lives, sometimes driven to the point of madness. Having lived for an extended period in that madness, I know that I was saved by refusing to accord my status some sort of ecclesial reckoning. It had a certain torment within it, but, like the fire of God, I needed to be burned. That same experience gives me a sense of mercy towards anyone who lives in that place – I cannot judge them. Fr. Freeman, Thank you so much for this wonderful teaching on the true meaning of communion in the one cup and one body. The 6th chapter of St. John was what drove me to seek the Church. Christ’s words are so powerful and direct there. At least 5 times He states words to this effect, “Unless you eat my body and drink my blood you have no life in you.” At a certain point I could not get around His words. I kept asking myself, “What if Christ is not speaking symbolically (in the modern sense)? What if His words actually mean what it seems they mean?” After more searching, more prayer, more reading, the Lord in His goodness finally led this recalcitrant 49 year old (20+ years ago) into His Church. And I’ve never looked back. With trepidation mixed with joy I continue each liturgy, with yearning, to consume our Lord’s most pure body and most precious blood. A greater gift no one could receive. 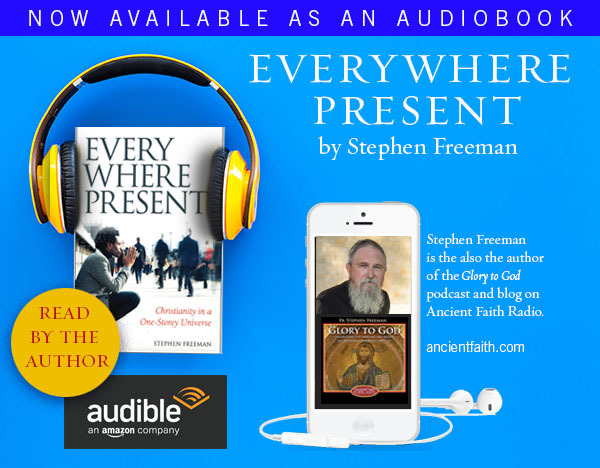 Your questions really go to the heart of some critical differences between a Christian faith and practice rooted in the mindset of the early Catholic-Orthodox Church before the Great Schism and that rooted in the more recent mindset and assumptions of all the Western Christian traditions post-Enlightenment. I think even Western Christianity in the wake of Medieval Scholasticism had not yet adopted a view of the relationship between sacramental grace and the rational capabilities of the recipient that occurred in the wake of the influence of the novel philosophical assumptions of modern Rationalism on the theological reflection of Western Christians. Before this point and even after the Schism, upon renunciation of Satan and confession of Christ (whether done by the initiate or their proxy/godparents), Catholics in the West administered all rites pertaining to participation in the life of Christ (anointing, Baptism, Chrismation/confirmation, which is the “seal of the Holy Spirit”, and admittance to the Eucharist at the same time because all of these symbols *together* actualize and make present in the life of the initiate what it means to be in Christ and to be a member of His Body. There is no concept in the more ancient tradition that a member of Christ’s Body need not have been washed from his sin, participated in Christ’s death and resurrection, been sealed by the Holy Spirit and become a sharer/partaker in Christ’s Body & Blood (i.e., a recipient of Christ’s Life), but could still be a member of the Church. Rather, all these spiritual realities taken together are part and parcel of what it actually means to be a member of His Body and full participant in His Life. I hope you are getting the sense that in the ancient mind, these were not mechanistic rites that somehow magically confer the grace of each specific aspect of salvation (as life in Christ) to which they pertain independently of all the others, but rather signs that each point to different aspects of the One integrated Reality that constitutes the Church into which the initiate is being ushered. Hopefully, Fr. Stephen will correct and/or clarify the information I have offered here. I appreciate the time you took to provide that long answer to my question. Not certain if I understood all of it though. Yeah, the Western Rite Church created a fatal blow to its sacramental theology in limiting the power of confirmation to that of the bishop. Although I have been baptised as an Anglican, due to the clerical shortage we have in our diocese, I have been unable to be confirmed. That said, I agree with you that I do not think that if something is lacking one is inherently disconnected from God or unable to partake in the fullness of God. One can think of those saints in the Old Testament as well prior to the New Testament. They did not have the incarnation but only the anticipation of the incarnation. God, unlike us, is not locked in time. I do think that God wants me right where I am though as much as I appreciate the Orthodox faith. I sometimes have Catholics telling me I should make the logical conclusion with my beliefs and become a Catholic but such as the moment, I think, would be contrary to the call of God in my own life. The concept of “Sister Churches” seems to me to be a misnomer. Although I am fine using the term to describe “churches” in my own diocese as “sister churches”, they are not “sister churches” at all but are instead “part” of the One Church. I also cannot think of those in the One Church as “part” of the One Church either. That, to me, would be equivalent to dividing the essence of the Trinity. If the Church is to be one as Christ and the Father are (is) one, it seems to me insufficient terminology to refer to those in the Church as “parts” of the Church but rather to those in the Church as each embodying the fullness of the Church completing ourselves in each other. Thus father, the word “one” in “I confess one Baptism for the forgiveness of sins” refers to the same reality as the reality of the One Church? Not to staying loyal to my first baptism in another church (reason to be united to the Orthodox Church only by chrismation) – right? I would be curious to know when precisely the development of the bishop only being allowed to administer confirmation in the West came to be. I do not think though that the West would disagree that the participation in these sacraments is not important to becoming a full member incorporate in the mystical body of Christ though in the Western tradition, baptism and the eucharist became more important than all the other sacraments in such a way that a lack of confirmation was not needed to partake in the eucharist. This probably was due to the fact that only the bishop in the Western Rite was able to administer the sacrament of confirmation and not every new convert to the faith had immediate access to it. However, I don’t think its importance is under-mined in the Western Rite at all. My own Continuing Anglican Church sees confirmation as the seal of the Holy Spirit as well. Even still though, it is a misunderstanding even the Western Rite to see confirmation as based on rational acceptance. My brother, a Lutheran Pastor, explained to me his belief that so long as one is partaking of the Blood and Body of Christ, as well as the other Sacraments, then they are One with Christ, and thus a member of the Church. So, according to him if an Anglican, a Luther, a Catholic, and an Orthodox all are partaking of Christ in the Sacraments, then they are all One in the Church, despite their apparent separation from each other. This is how he explains the “invisible” bond of the One Church. In other words, if their Sacraments are valid, then all belong to the Church. How am I to view the Sacraments that I partake of in comparison to the Sacraments they partake of? Are they partaking of the One Church’s Sacraments (meaning the Orthodox Church), but in a deformed way by mixing what is Pure with what is false, without realizing their sin against the Holy Body and Blood of Christ? Yes. The question to me is this: “What is asked of me to be received into the One Church?” By the time I got to that question for real, I would have swan dived off Niagra had it been asked of me (hyperbole). My private judgment (“my Baptism”) is of little consequence and use. It is union with the One Church. It has become a habit for most (particularly in Protestantism) to think in terms of the sacraments somehow existing outside the Church. My Baptism, my ordination, etc. These are simply extensions of the One Life, not something in and of themselves. If the Church asked me to submit to Baptism, how could I refuse? If I want to be in the Church and of one life in the Church, then I accept whatever is asked. To a degree, when someone feels the need to guard their “first baptism” – they’re not ready yet to enter the Orthodox Church. As I noted, I was not asked to do that. However, there were other bishops, other jurisdictions, that would have asked that, and I would have accepted it…just as I submitted to ordination. I frankly think that Scholasticism and that form of thought has led people into useless speculation about the mechanics and the magic of sacraments as things in themselves. No sacrament is a thing in itself. It is useless and unanswerable to ask what happens in a heterodox baptism. Essentially, something heterodox happens. What is the ontological status of heterodoxy? I have no clue, other than I cannot say of heterodoxy the same things that I say of Orthodoxy. These questions regarding the status of non-Orthodox groups (“Churches”) are, I think, useless speculations. They are also quite painful and difficult for us. What is the status of a couple who lives together and has a child but is not sacramentally married? I don’t know. I doubt Abraham and Sarah were crowned and marched around a wedding table. It’s similar, I think, to the notion of salvation as becoming “truly human.” If I’m not already truly human, then what am I? I’m not a massa damnata. This I know for sure. By the same token, it is wrong, I think, to speak of the heterodox in terms that treat them like they are sub-Christian. But the work of the One Life of Christ in the world has been assaulted by many things. The detritus of those assaults should not be accorded some ecclesiological status. There are not now “many churches,” nor is it correct that there are “parts” of the One Church. There is not One Invisible Church to which all Baptized persons belong. This is a modern and false doctrine, unknown to the Fathers. It was invented in 19th century America, although there were already echoes of it in European Protestantism (“the blessed company of all faithful people” is the expression in the Anglican BCP). That expression was a bit of plastering over the disastrous and schismatic effects of the dysfunctional Reformation. Anglicans couldn’t say they were the only church, but they didn’t recognize Lutheran or Calvinist ordinations, etc. So, you get the new fiction and new phrase, “blessed company of all faithful people” which sidesteps the problem and plasters it over with Cranmerian vagueness. I love Cranmer’s English. Much of it was perfectly Orthodox. But some of it begged lots of questions and left them unanswered – a wise move when heads were being chopped off for various doctrinal/political infractions. Cranmer English ultimately becomes the voice of the Elizabethan Settlement which was a tacit agreement to shut up and quit asking obvious questions, for the sake of political peace. But to take such compromised and deviant notions into an actual ecclesiology is simply a departure from the truth. What I am saying as an Orthodox Christian is the very unsettling truth that has always been spoken in the Church – but has been suppressed in favor of the nicer expressions of modern compromise. Of course, modern compromise doesn’t burn. It has no fire. It ultimately has no meaning and cannot save us. So, I mean to throw a painful wrench into a comfortable ecumenism and “invisible” ecclesiology. I do not mean to announce some sort of triumphalism. I didn’t enter Orthodoxy in triumph. I got here after 20 years of wandering, doubting, sometimes kicking and screaming, awash in compromise and self-serving decisions. I had to come as a penitent. I hope I can stay one. I certainly didn’t become Orthodox because I liked it. Indeed, for the first several years, I really didn’t like it very much at all. It was hard. I was awkward. I got it wrong more than I got it right. The messiness of American Orthodoxy was a constant pain in (shall we say thorn in the flesh). Today, interestingly, is the 18th anniversary of my reception into the Church. It is so much better these days. I like it very much and could not imagine doing Church any other way. Thorns still abound, but, like St. Paul’s, I suspect they are as much for my salvation as his was for him. We have to do what we believe God wants us to do. My own experience of that is full of contradiction and questions. For us High Anglicans, the Church is the visible company of all the baptised. What this implies definitely differs pending on how one views the overall ecclesiology and proper administration of the sacraments of course. But as has been noted, much of the concept of “proper administration” of the sacraments is quite scholastic. As a Western Christian, I of course view the scholastic tradition as quite important to the continuing, ongoing Christian tradition (but of course it has its blunders there and there). As many of those in Protestant denominations view their eucharist as valid, it would not be problematic for them to state one who is baptised and actively receiving the sacrament is as much as the One Church as all. But there is much mystery that remains known to God only about this stuff it seems. As a non-Orthodox fellow, I might be more keen to agree with your brother but at the same time extreme caution needs to be exercised so we don’t merely “play” with the graces God has given to us. What makes it more difficult for me is that none of the schisms in the Church throughout the centuries are my own fault and they certainly aren’t your fault either yet we bear the guilt of our fathers in these divisions. I think the danger for most of us with a topic like this is to try to sit in the judgement seat and look over the whole situation from a 30,000ft view. This is not our place. We’re not equipped to do that. We are children and and need to approach big things as a child would. But of course as human beings we must have way of thinking about these things! And so we should, but we need to keep in our minds that they are simply that, a way of looking at things. For example we say the sun rises in the morning and sets in the evening. The fact that the Earth is actually spinning on its axis to make this happen is actually of little consequence for most of us – even a hindrance. It is better if we just think of the sun rising and setting. In the same manner it is best if we try to believe that there is One Church – first and foremost because it is the truth. How this is so is going to look differently in each person’s imagination, but we must try to stop there. If we don’t then we start leading into wanderings about who’s in, who’s not, how union is to be accomplished, etc. These are all things most of us were not equipped to deal with. Today, interestingly, is the 18th anniversary of my reception into the Church…. Thorns still abound, but, like St. Paul’s, I suspect they are as much for my salvation as his was for him. Many years, Father! May we all suffer such thorns. What your brother suggests is a common Lutheran, even “high Protestant,” view of the Church. But, again, it sees the sacraments as somehow separate from the Church, sort of like portable and private gateways. It ignores so much. Of course, it is convenient to ignore a lot of things because if they are not ignored, then some very hard choices might have to be made. On the one hand, they have a very novel notion of the meaning of “one.” It is an abstracted thing, a “oneness” that can ignore many important, even essential differences. It would be, forgive me, like practicing adultery while claiming to be “one” with my wife. Maybe there is really only “one marriage,” and every woman I sleep with participates in that one marriage. Frankly, that is a very accurate, if scandalous, comparison. You cannot say, “My one is your one, but we disagree about many, many things.” There is “one faith, one Lord, one Baptism.” You cannot have one Baptism and two faiths. I do not say that the non-Orthodox have no relationship with God, nor are they strangers to Christ, nor that their actions are utterly bereft of benefit. But Baptism belongs to the One Church, not to every individual. The One Cup is the One Cup of the One Faith in the One Lord, etc. It is quite concrete. The truth is, Orthodoxy, pretty much alone, actually believes in an ecumenical necessity. The Protestant theories, which are modern inventions, don’t really need to deal with the problems of schism. They have found a way to think about it that makes it only a matter of polite discussion, but of no necessity. Orthodoxy takes the schisms utterly seriously. If someone had an open marriage, then nothing would really matter in the relationship. In Orthodoxy, the One Church will not live is some newly-defined false notion of a vague “one church that we’re all part of.” The Church is not an open marriage. So the conversations become filled with conflict and emotion and pain. That’s how you heal a marriage. But, we have not been given a particular revelation of how to understand the sacraments among the heterodox. They are without confidence. Many good intentions, but largely avoiding the real questions of this marriage union with Christ. Orthodoxy takes the schisms utterly seriously. If someone had an open marriage, then nothing would really matter in the relationship. In Orthodoxy, the One Church will not live is some newly-defined false notion of a vague “one church that we’re all part of.” The Church is not an open marriage. Thank you for this, Father. I cannot help but think that most people in “open marriages” tend to think exactly as Protestants do. They consider their “primary” marriage as official and their other, agreed upon, adulteries as contributing to it. I had not recognized the evil behind such a viewpoint until now. Thank you again. (I hope this explanation and illustration makes it into your next book). I think it would be quite beneficial as well to understand the sacraments and how they relate to the Church as important starting points in ecumenism. Unfortunately, this also requires a right understanding of the priesthood as well which is also disputed even between those who believe that orders are a sacrament. For instance, in the West, it is common view to assert that the three-fold orders are hierarchical but I understand this is not the view of the East at all. If even our views on orders are different, then our views on sacraments will also be different and indeed a barrier to the two becoming One Church again. I think I do agree with you that many of the “high Protestant” ecclesiologies tend to be a bit pseudo-ecumenical. We can’t just simply state that the situation of sacramental unity is as easy as this. It is not. My own particular church is actually not even involved in that World Council of Churches. IMO, this is true only insofar as we continue to foment and perpetuate said division knowingly. You and I for instance see the sin of division. Many are not mature enough to consider it and are led into it by their “shepherds” in “good faith.” Only God knows the heart. What I’m saying is this; Each of us is guilty for our own perpetuation and continued participation in division once we are enlightened by the Holy Spirit to see it for what it is. We are not responsible for the sins of our Fathers in this regard, but certainly we are handed down either an abundant inheritance – or a poverty based on their actions. As a Protestant – I held on firmly to my own “distinctives” and ideas about doctrine. If I didn’t like what PCUSA said anymore…or my church didn’t like it…we simply created something new to suit our tastes…ECO, or PCUSA 2.0 or whatever. A half a dozen church splits later and I finally realized this was not of God. I was in a far different position than say a 18th century farm girl in Utah born into Mormonism who sought God earnestly with the talents she was given. My actions were not the same as my imaginary farm girl who may have lived her entire life in a delusion not her own. Most of us can’t say the same about our own delusions and divisions we engender because of them. I certainly can’t. I was a participant and promoter of Christian division by nature as a Protestant. It defined me. Orthodoxy is defined by exactly the opposite. It is defined by the unity of love. Unity and doctrinal purity (Orthodoxy) is a fruit and blessing of ecclesial love, not a precursor to it. Where love and unity abound in freedom and are taught as core to salvation in the Church life – there is truth. I by no means assert my own individuality when it comes to what dogmas I embrace. I think it is very important to establish the authority of the Church. I’m not sure why Protestantism is the sole to blame. I was a Catholic catechumen for a while which shares the same position as Orthodoxy in terms of unity of faith and ecclesial love. All I saw when I was a catechumen though was a fierce blame-game on the Protestants for their causing the division without an understanding that we all par-take in the division. I certainly do not intend to perpetuate the division but it is bigger than I can do and unlike Fr Stephen who holds God called him to the Orthodox Church, I do not see God trying to move me out of where I am right now. My own church of course affirms the same as you though in a different locus and in schism as we also view your church in schism and the schisms of our two churches we hold as a scandal. This does not mean we perpetuate the divisions on our own though. We are all a very part of the divisions. As Jesus said, we need to get the plank out of our own eyes before taking the speck of sawdust out of our neighbor’s eyes. Your attitude toward the Orthodox Church, while I respect the Orthodox Church greatly, is one I am afraid would fail to convince me of the truth of Orthodoxy. What led me to the ACA where I am right now was not a mere intellectual argument but a growing desire in my heart to see the love of God in action which I was not seeing in the instruction I received as a Catholic catechumen. I was seeing mere hostility toward Protestantism as the ones to blame for everything and I grew this hostility and I think that became a detriment to my faith. I see the same from many Orthodox as well. We cannot blame those in schism for the schisms but we must also see our own faults at all. I do think there are many problems with mainline Protestantism which is why I am Anglican Catholic and not a mainline Protestant. I hope I did not offend you and I hope you see where I am coming from. Father Stephen, thank you so much for this posting and your responses to our questions. I’m grateful to the non-Orthodox speaking here because they raise similar questions raised to me by my family as I go through the process of conversion to Orthodoxy. God willing, I will be baptized this coming Pascha, but I believe I already feel the heat of the fire. There is a deep conflicting reaction to turn away from what feels like fire. God willing I will continue on this life path. Somehow through Grace I have come to understand it leads to healing– an abiding uniting. And I understand that the process will be ongoing and that baptism is not its conclusion but part of the process to live in the fire. As you suggest above, sometimes the process of marriage and marriage counseling can feel like fire, too. It is difficult to express this to someone you love who is not quite living in and going through the same process. Although they are living with it as we live together and they love me. For this reason and more I find reading this post and others in your blog helpful as means to reflect, understand and express this process to myself, and hopefully by living in this reality inturn, I might find my own words to express it to my family. Can you explain how Orthodoxy is in schism? Much less in schism from Anglicanism? How can it be in schism from something that has only come into existence in recent time (in Church years)? Classically, schism is not a two-way street. If someone departs from the truth, they have entered into schism. Orthodoxy holds that the RC departed from the truth in several key things, although, the schism itself began with Rome “excommunicating” Constantinople. That was a long time ago, and, from the point of view of Orthodoxy, Rome has continued to move away from the unity that is the Orthodox Church. Or does Rome being schismatic, automatically make Orthodoxy in schism? That would mean that a man who cheats on his wife makes her an adulteress? But finally, in what is the Orthodox Church in error? Meeting mean Roman Catholics doesn’t harm their case, and meeting pleasant Anglo-Catholics doesn’t make them right. Essentially, you seem to be saying that when others (Rome or the Orthodox) are less than generous to Protestants, you find that as a strike against them. But are they right or wrong? Perhaps it is the case that the particular demands made by Protestants concerning their own case and cause brings about a stern rebuke. Since Protestantism generates schisms as a virtual cottage industry, it is little surprise that its entire enterprise gets rebuked. I understand wanting to make special cases out of this group or another, but Anglicanism historically, is as Protestant and as much responsible for the rampant schism-machine of Protestantism as anyone. Indeed, the bulk of historic English Protestantism did not stem from the Reformation, but from England and its Anglican Church (Baptists, Presbyterians, Methodists, etc.). The cruelties of Henry VIII (he was among the greatest butchers the Church has ever seen) alone should be a serious cause for Anglican self-examination. Anglo-Catholicism is pretty much a 19th century, Victorian phenomenon, and today is pretty vague. Historically, the Anglo-Catholic wing of Anglicanism was the epicenter for the gay movement within the Church (I know this because I saw it and was surrounded by it). This is not the same thing as the continuing Anglo-Catholic group, but it is its historical progenitor. It’s not a Church – it’s a set of ideas in a Church – and was once a subculture of very dubious worth. I fully understand liking where you are, and even feeling called to be there. But that could be said of anyone in an independent Bible Church, or Charismatic fellowship. None of which suddenly places the mantle of the Holy Catholic Church on what is going on. What role does history actually play? I think that historic Anglicanism has failed and largely collapsed. What remains is not historic Anglicanism, but a collection of people who like Anglican-styled worship and polity (sort of). But, it’s an invented Church, not the Church. None of this is meant as hostility. I’m just speaking honestly about a place I once called home and came to see that it was not at all what it claimed to be. But, forgive me. I do not mean to make this such an unpleasant exchange. God give us grace. my intent was not to malign you. I spoke of my life. I know nothing of yours. I spoke to the guilt of division and the perpetuation thereof from a conciliar standpoint. The remainder of what you’ve said here is tangential to my observations. In short…I was not accusing you of anything but sharing my own life experience and the understanding of the conciliar life of love of the Orthodox Church. I think you missed my points and would urge you to read Ignatius of Antioch’s epistles (again?) on the nature of ecclesial love and Christian schism. God bless. You’re well on your way to Orthodoxy… In this life or the next. BTW…I’m not offended…and I wasn’t trying to offend you. I totally understand that you are believe you are where you need to be for the moment and that God is working in your life. Going from Atheism to Anglicanism is not nothing. But, I also believe that He is calling you to reunite with the One Church in a time and a manner which only you and He will be able to negotiate. Thank you for your response. I greatly appreciate that your blog is a safe place for discussion of these things and I agree with your last statement especially more-so. In these matters, what is important is the grace of God and charity toward one another. Hence why St Augustine emphasized, “in all things charity”. Yes, I know that King Henry VIII was not a great man at all but when it came for to becoming a member of my own ACA church right now it was a factor of giving and receiving love which I needed. Perhaps still, I think God is having me lean much more toward Catholicism if anything but I just try and follow his calling where he leads me and as of the moment, it is doing the small things and growing in my faith. When I say “schism” and that Orthodoxy is in “schism” I do not mean that it is in error or exercising error but that it simply remains divided. And again, I also view my own church as schismatic from Orthodoxy as well. While it is true many Protestants split from each other after reading differing passages of the Bible and believing their view is the correct one, Protestants were definitely not the first to start this schism. As the Ecclesiastes writer says, “there is nothing new under the sun”. The Church has been dividing itself constantly over the ages–heresies creeping up, the Assyrian Church of the East bolting, the Oriental Orthodox bolting, then Rome and Byzantium dividing. From my own perspective, it simply seems that Protestantism’s individual break-offs with itself is simply part of the overall tragedy and scandal the Church has made itself into. There is certainly no way to heal this division if we say we have it all figured out for we do not. We see through a glass dimly. It is difficult for me because though I desire to live an historic Christian faith as has always been the way, I’m not certain what way to go and when I see all the Christians of the true faith throwing stones at another group that calls itself the true faith, it leaves me to wonder. All I know is that any one who has not love has not God. I am actually one of the many Anglo-Catholics in a continuing tradition which is attempting to heal the divisions caused throughout Anglicanism as of the moment. I trace the Anglican origins back to St Augustine of Canterbury of course as do many Anglo-Catholics. Schism is always a scandal no matter whose specific fault it is but I certainly am not saying that a man who cheats on his wife has made her the adulteress. Rather, I am trying to say I think many of the divisions throughout history have been caused by us trying to cheat on each other. Some schisms may be legitimate such as the excommunication of Arianism. Some schisms are just simply a tragedy. This, I think is true with Rome and Byzantium and with Rome and England and even England and itself. Thank you for clarifying yourself. These e-communications are never quite as helpful in terms of relationships as others. As to whether I am well on my way to Orthodoxy or not, I guess only God will know for certain. Some Catholics have told me I should become a Catholic. And to all–may God’s grace and charity prevail and throw the Divider out for good! Thank you for your kind words. And it was from Luciferianism actually. First of all, peace and love in Christ. The Protestant Reformation is troubling—but it is not half as troubling as a the East/West schism. My heart doesn’t understand this schism, and whenever I hear or read anything that resists visible unity, I feel like a child whose parents have just divorced and refuse to talk to each other. I feel rejected, confused, and in some odd way like I am to blame—like I did or am doing something wrong. Just like a child, I know there are bigger issues at play, but I just want mom and dad to choose to be together, to lay down their lives for each other, even when it hurts. The fact that this isn’t the case doesn’t tell me that Catholic and Orthodox are each respectively submitting their will to Christ, but just the opposite: That both are unwilling to change and, in their pride, will continue down their own paths, never united, never truly desiring unity. This is why I have trouble understanding your implication that ecumenical discussion is only about “earthly” or “political” differences, not touching on the real heart of unity. As we both approach the Common Cup in the next Divine Liturgy/Mass we participate in, we both approach it desiring unity with Christ. As you rightly mentioned, this cannot be the case if we reserve “our right to our own opinions and actions”—for this is faith without charity, which is not a living faith. But if two respective parties believe they are doing just that, and yet disagree about how that is done, how can there be hope for unity outside of engagement with the other? You suggest “turning inwards” is the true solution here, which I think is correct to a point: Conversion must start in our own heart and extend only afterwards to the community around us. But must not that inward turn eventually look out towards the Other? Else the subject is cut off from communion, which, as you so eloquently have stated here, is also being cut of from salvation itself. As for me, I am (relatively recently become) Roman Catholic. I made the journey here from being raised in a Protestant Pentecostal church, going through Reformed (Calvinist) theology, eventually coming into the Catholic Church. I studied Religion and History at university which, after studying the scriptures from a secular perspective, gave me grave doubts about my Protestant faith (and philosophy). It was odd—my Protestant friends didn’t understand what happened, my Protestant family mourned my new found “idolatry”, and I myself was a bit uncomfortable at this dramatic theological shift—though somewhere in my heart I felt as though I had been Catholic all my life, and regardless of how I felt, I knew this was *true*, so that was that. My journey into communion was one that circled around questions of authority—how do we properly understand and apply what we read in Holy Scripture? What in the Tradition is authoritative and right? When I realized that Protestantism had few and mostly conflicting ways to answer these questions, I felt Catholicism was the only option. It wasn’t until after my confirmation that I began to read more deeply about the disputes and division of East & West. It broke my heart, and I’ve shed my share of tears over frustration entering into the universal Church only to find that there was such unreconcilable division even before the European Protestants entered the scene. Circling back to with what I began: This is where charitable dialogue must enter. Though I am relatively young and have much to learn, I have read enough histories of the schism to know that both sides have arguments that demonize the other. There is no non-revisionist history. And so, with ideologically charged history behind us, what can be in front of us if not dialogue in and through faith, hope and love? We must discuss theology and history. We must have an authority to arbitrate these discussions. But how can this happen there exists no ecclesial apparatus to do so? How can it happen if we reject the need to come to theological consensus? Lord, have mercy. This is very troubling for me. There is an ecclesial apparatus for discussions. Those discussions have been ongoing and substantial. There is less misunderstanding now than at any time since 1054. But with greater understanding has also come greater clarity about real problems. One of those problems, I believe, is the temptation to substitute a false ecclesiology for the true merely for the sake of getting along with the ecumenical process. This is ultimately a matter for God. My suggestions viz. the Cup, ultimately mean being willing to come to the Cup “bearing our shame.” A false union will only alienate us from God and our salvation. So we pray. We give thanks. We repent. We never despair. That is what there is. Aric, some of what concerns you can be found in one manner of commonality expressed in the joint declaration by Pope Francis and Patriarch Kirill. Their joint statement several times emphasizes that, “We share the same spiritual Tradition of the first millennium of Christianity.” It is notable that they have to go back to the point of schism to find true commonality. Father has also noted that after the RCC split from the Orthodox (I’ve noticed the western press flips this script), they continued to move away from the original faith expressed in the Church in theology and tradition. In light of these things, it will be extremely difficult for the two to come together in true union. We ourselves are best put to continue to pray and do well towards one another. As Mother Teresa said, “Not all of us can do great things, but we can do small things with great love.” Just my thoughts. Thank you Father Stephen, and everyone else contributing to the conversation. This is all helpful. When I first started exploring Orthodoxy I tried to figure out whom schismed from whom. It didn’t take too long to realize the impossibility of untwisting this tangled knot, and I soon gave up. I ultimately became Orthodox because the Roman Papacy seemed like a historical invention, because I read The River of Fire, and from attending the Divine Liturgy. 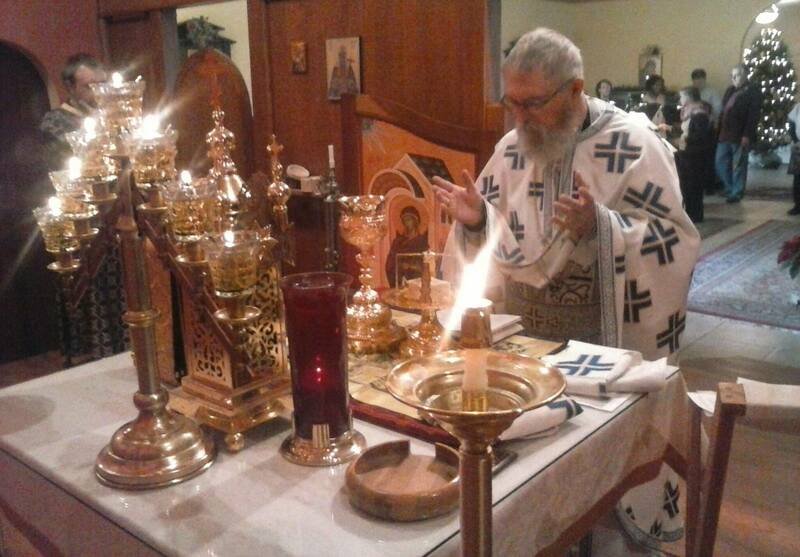 In the end I stayed because I could never turn away from the Divine Liturgy. In fact, at first I thought I was leaving Lutheranism because of theological reasons, but now I realize God just wanted to bring me to the Divine Liturgy, and to my new family of Saints. I could never leave the Saints who love and intercede for me. Anyway, other than my husband and kids, pretty much all of my family is still Protestant, and whenever the divisions of Christianity come up in conversation they assume that the Orthodox have committed the same sins of division as everyone else, and accuse Orthodoxy of arrogance for thinking otherwise. My brother who is a Pastor questioned me once, asking why it is that the Orthodox haven’t had an Ecumenical Council since the 7th century (or whenever it was) if they are the One True Church. He was hinting that the Orthodox subconsciously acknowledge that they cannot act as the One Church in another Council without the other half of the Church (i.e., the RC’s). At the time I ended up agreeing with him, but I agreed out of ignorance. Unfortunately I am still pretty ignorant when it comes to this subject. I hope it’s clear that I agree with you regarding true ecclesiology. “Getting along” is of course not the goal—real and true unity is. I have hope and faith that God will have mercy on us (Orthodox, Catholic, Protestant etc.) even in these tumultuous times as we seek true unity with Christ. Perhaps I read your thoughts here in the wrong spirit; it seemed as though you were discouraging ecclesial dialogue (especially the recent meeting between Patriarch Kirill and Pope Francis). To me these thoughts seemed misplaced, as these kinds of discussions (as watered down as they may be) are essential to the eventual reparation of disunity. Before true reconciliation there must be a will towards and founded in Charity, even if initially there doesn’t exist the kind of theological ground that must eventually be tread. Also—do you have any links to prior thoughts you’ve presented regarding church history, specifically regarding disunity between East & West? I had an interesting discussion with my father-in-law who was in town over the weekend. He attended Divine Liturgy with us and our priest discussed the meeting between Patriarch and Pope mostly in the context of correcting the grievous errors found in the press. My father-in-law converted to RC a few years back after a lifetime of Southern Baptism mostly. When we got home he said “well, by not having unity the worship and beliefs of the various Orthodox church’s have changed over time”. I wanted to “laugh out loud” as they say. I pointed him to Cardinal Newman and “the development of dogma” in the West, and how it is in the East where both worship and dogma have in no real sense “development”. I explained that unity is a powerful concept in the West, obviously for several reasons but when the West talks about “unity” they mean a kind of administrative unity that was never part of the Church (being collegial in essence). The Church is One in Faith, and there can be multiple “administrative” churches based on ethnicity, nation-states, geography, or something else if it works out that way “in the world” and it does not matter to the Faith as it is still one. The West does not think of unity in this way, and has an underlying assumption of a administrative/polity unity that is necessary for unity in the Faith. In such a paradigm, you simply can not be the One True Church if you are not administratively united and this is reflected in a kind of administrative (I would say “bureaucratic”) vitality that would be recognizable as lots of talking between bishops, functionary’s, institutions, buildings, and endless meetings and councils and discussions trying to “discern the Spirit”. And yet, such “real and true” unity already exists – it is here, now, among us in its full Spirit as the Church is here, now already fully and truly unified. See above. The model and understanding that is at the heart of the modern ecumenical movement is that there is a real “disunity”. However, from the inside (of the Church) looking out, this does not make such sense because the unity is already real and present, so what does it mean to speak of “eventual reparation”? It is the placing of a unity into a dialectic and trying to work out a compromise – but this does not work because the compromise would look like what already exists – unity in the Church!! If the comprimise did not reach this and was something else (a third thing), then it would be yet more “disunity”. Yes. There have been no “other” Ecumenical Councils (though there are some who count the Photian Councils as 8th and Palamite Councils as 9). But there have not been because Councils are, to a degree, only a “necessary evil.” The 7 Great Councils were required to refute heresies, not to figure out what we believe. The coming Pan-Orthodox Council will not treat of any dogmatic matters, because there are none requiring attention. There are clear administrative/pastoral matters that can use the greater attention of world Orthodoxy. But nothing dogmatic. The Councils of the early centuries frequently did as much harm as they did good. Many were not thought ecumenical because they, in fact, were in error. Orthodoxy has not have a “guarantee” about Councils. Rome thinks it does, which means she cannot admit to having made a mistake, which is a pity at present. I pray to God that there never need be another true Ecumenical Council. When they happen, it’s because all else has failed. But the unity of Orthodoxy is not only a living miracle, it is a testament to the true conciliar polity of its life. It’s messy and very hard to explain to outsiders. But it has worked for 2000 years in a manner that not even Rome can boast. I preface this with a claim to ignorance—there is much I don’t understand, but I can at least present to you my thought process. The disunity is thus: You, as EO, claim to be part of the “One True Church” and therefore exist in the only ecclesial community that *allows* for salvation (in the definition outlined by Fr. above). Another creed, whether RC or Protestant, would claim the exact same thing. Both claims can’t be right, therefore, visible (and real) disunity exists here and now. I, like you, certainly wouldn’t claim that men in and of themselves are able to repair such a rupture as this. It is by God’s grace alone that we live and move and have our being, and if there is schism then God alone can mend it. What we know is that, here and now, there exists divided Christian communities sharing *similar* but divergent creeds and dogmas. Those divergences are precisely the content of the disunity being addressed in these ecumenical dialogues. Would it not be irresponsible to ignore those divergences and continue assuming our creed has been perfected? Even if such a thing were true, it would be at least uncharitable to not engage with others in the examination of our own creeds through reason and dialogue. I’m just glad you make your posts into easy to email usage so that I can chew on it at a later date. In such a paradigm, you simply can not be the One True Church if you are not administratively united and this is reflected in a kind of administrative (I would say “bureaucratic”) vitality that would be recognizable as lots of talking between bishops, functionary’s, institutions, buildings, and endless meetings and councils and discussions trying to “discern the Spirit”. What is so interesting about all of this is the a-historicism that must be embraced to make such a paradigm acceptable. The administrative unity that preoccupies Western Christianity has it’s root 300 years prior to the Schism in the Carolingian reforms as I’ve written about. Most of us look no deeper than the various theological claims made by each side and the events surrounding the mutual excommunications proper. But history is a funny thing…it reveals as much as it obscures to those who wish to do the digging and not throw their hands up in despair. The unity of Love in the Holy Spirit and unity by fiat have little in common. Orthodoxy indeed accepts that what she holds is the truth. Indeed, it cannot be revised. Every bishop of the Church, as part of their ordination, takes an oath that they not only believe and accept the Holy Tradition as they have received it, but that they will maintain it intact. Orthodoxy is not Protestantism. It does not revise its doctrine. “Perfected” is your word, and not how we would say it. But Christ gave His Church the faith. It was once and for all traditioned to the saints (Jude 1:3). The Orthodox Church did not and has not diverged from anything it received. Rome’s divergence from that common faith, once and for all received, is precisely the point of their ongoing schism. Orthodox conversation is not about how we can agree. It is about whether anyone chooses to return to the Orthodox faith. There can be conversations and dialogs to clarify and explain and work towards understanding. But it cannot be arriving at something that isn’t already present in the Orthodox Church in its fullness. Orthodoxy is not a community among communities. It is the very Church founded by Christ that has maintained faithfulness to the faith as she received it and as it was proclaimed by the Fathers of the Great Councils. For example, we do not have new canons. Our only canons are the canons of the Great Councils and those canons recognized by them. This is the Church of the first thousand years. We don’t look to that Church. We are that Church. And we would be unfaithful to deny it. Would you have every Orthodox bishop perjure himself? If the Orthodox Church had diverged from the One Tradition received from Christ, it would not be the Orthodox Church. It is who we are. And that is our witness to other Christians. This is the faith of the fathers. This kind of expression, I know, sounds triumphalist or incalcitrant, but it is the only and complete self-identity of Orthodoxy. What you are actually suggesting is simply a Protestant view of ecclesiology and this, from an Orthodox perspective, is an error. Both claims cannot be right – you are correct. Orthodoxy is the One Church, and for us to say otherwise would be to deny Orthodoxy. As I have tried to state carefully earlier, that does not mean that no one outside of Orthodoxy can be saved. We do not say that. But salvation outside the One Church is fraught with problems (heck, it’s no picnic within her). God is good and merciful. What has happened is that the New Testament clearly presents a doctrine and understanding of the Church and that doctrine and understanding runs throughout the Fathers and the Councils. But moderns want to say that something happened, and that this Church, as given and defined by Christ, has somehow been lost and we have to work to get it back. When did Orthodoxy lose it? We, in no way, differ from the Church of 1053 and the centuries before. Rome cannot say that and could not say that in 1054. Dialog is good, but Orthodox dialog is not about figuring out where we went wrong. We didn’t. We believe the Creeds as they were delivered (never having added the filioque). We pray the very prayers that were written by the Fathers, not new ones. We do what we have always done. Charity insists that we have conversation, and use reason and dialog. But the purpose is not and cannot be to change anything in Orthodoxy. Indeed, if our bishops were to go mad and agree to such a thing, they would be rejected by their own people. It’s been done before. The problem is not “disunity” within the Church. The problem is that some are not united to the Church. That is the nature of the disunity. But this is, indeed, the very teaching on the nature of the Church found in the Scriptures and the Fathers. If we don’t say it, then the truth is lost. The problems with Rome lie, I think, pretty much with Charlemagne and the Frankish Kingdom, for what it’s worth. You probably know that far better than I. Father, you are writing essays within the comments on this thread! Many thanks for that. Glory to God! Does it seem fair to say that Protestantism asks one mostly *to think* certain things, Roman Catholicism asks one mostly *to do* certain things, but Orthodoxy asks one mostly *to be* a certain way—and in that being both thinking and doing are joined as a corollary of one’s existential disposition toward God and his Church? I ask as a former Protestant and Anglican, who is trying to articulate it for himself. I agree with your assessment the truth and unity of the Church— I was only trying to point out that the RCC and the Orthodox would make the same claim to unity, thus proving a rupture. Both “sides” point to the other and say that the blame is on them, that either one left the true tradition or the other failed to submit to the authority of the Church (or a slew of other arguments in between.) In other words, as you say, both would say that “the other is not united to the Church.” This is, to me, a tragedy. I believe and hope it can be remedied. My use of the word “perfect” here is in regards to the articulation of the Creed. In the beginning, there was no creed (though the truths of the Church are eternal). But, through the ages, we learn to articulate it, understand it, and live it according. This is the development of doctrine—not to say “men making stuff up” but rather a grasping, a delineation of what is true, through the guidance of the Holy Spirit. For example, there was a time before the Pauline epistles, and though the truth of Christ was not altered after they had been written and received as Scripture, they were articulated in a more perfect way because of their existence. It’s my understanding that the Church, through the Magisterium, allows for this kind of articulation through the ages. I understand here we disagree, though this is neither here nor there. My plight is that of a child trying to understand which “parent” is telling the truth. Did mom leave dad, or was it the other way around? Though it’s an imperfect analogy, the point is that someone here is either lying, has been deceived, lacks knowledge, or lacks Grace. I have to believe that agape can overcome any and all of these things because “love covers a multitude of sins.” This means, however, that if we are to be united to the same Church, some of us must sacrifice our very faith (through love) for the sake of unity. This seems to me intolerable and a contradiction, and I know not how such a thing can be done in good conscience (save for the intercession of the Spirit). It is this very impasse that weighs so heavily on my heart, because I do not understand it. Thank you for the dialogue. Glory to God. The difference is that the Orthodox Church was founded as The Church on Pentecost. It has not split, changed dogma or teachings, invented new ones or left itself. Yes, language to explain what we believe developed over a few centuries, but language had to develop to explain what we believe. The belief did not change. The first splits came when people tried to change what we believed and we had councils to affirm the Faith Once Delivered. The split between the Chalcedonian and Non Chalcedonian Churches came as a result of political, ethnic and linguistic differences. They remain today, but I have had discussions with folks from the Coptic and other Oriental Orthodox Churches and the major differences that I can tell is how we explain the fact that Jesus is both fully God and fully man. The problem is it is a contradiction to us, but not to God. The Romans split from the One Church because they developed doctrines and dogma that was not of the Faith Once Delivered. Anselm of Canterbury’s treatise began a development of the concept of God that is utterly foreign to the understanding of the One True Church. Rome also developed a concept of Ecclesiology that was divisive and caused the Great Schism. Therefore, we, the Orthodox, have not split from the Church but others have left us. If you were to undergo catechism in the current age and then travel back in time to the early centuries, you would be taught the same things. We have not the time or space here to fully air the differences between a Western concept of God and the Orthodox concept. What I can say quickly is that we, the Orthodox, do not believe that we are sinners in the hands of an Angry God, guilty of Adam’s sin, but sinners in the hands of a God that loves His creation and seeks to set it right by saving us from the consequences of our sin. We are not guilty of Adam’s sin, but we suffer from its effects in that we are predisposed to be rebellious. God seeks to heal us and set us right not condemn us. I hope that this can help you to understand why we say as we do about schism. Thank you for this. It is a concise, and very useful explanation. I understand your plight. Myself, I do not find the historical analysis difficult, complicated or ambiguous. The claims asserted by Rome regarding the Papacy, filioque, etc., were clearly deviations from earlier practices and understandings. They developed particularly under the aegis of Frankish (Charlemagne and successor’s) desires to supplant the Byzantine Roman Emperors with their own claims to a Roman throne back in Rome. When Charlemagne had himself crowned as “Emperor” in 800 A.D. by the Pope, it was a schismatic action (though not one cited by the Church). His political claims, however, required the magnification of papal authority since they had no other possible basis in history. Only the raw authority of the pope could justify his claim to be an Emperor. The filioque was, without question, a favorite piece of doctrine for Charlemagne and his successors. It was rejected by a series of popes until it was finally accepted (proving the growing power of the Frankish “Emperors” over the papacy). That bit of raw politics is the primary origin of the schism. There were obviously “differences” between East and West from early on, things that, without interference would have been gradually resolved in the normal course of conciliar life (as they had been before). But the political requirements of the Frankish Emperors needed to exacerbate the differences and assert papal supremacy. It was not the first time that political maneuvering would produce a schism within the Church. However, those political assertions passed into actual doctrine within Rome, creating an alternative to the conciliar life of the early Church. Today, there is, on a practical level, no conciliarity in Rome, other than when its pretense is convenient. It is a non-conciliar Church. Vatican II’s call for conciliarity is a recognition that it did not exist (and does not yet). That rejection of conciliarity, rooted in the political passions of the Frankish kings, is the source of the schism. It’s not historically complicated. It’s simply a bit of history that many in the West choose to ignore. But it’s pretty obvious and clear. The visitor to your parish put into words a crucial part of my experience as a non-Orthodox sitting in on Orthros and the Divine Liturgy. I hadn’t thought to describe it like that, but, yes, there is a clear sense in which I am aware that everyone else is “in” something that I am “out” of. As much as I can mentally and even spiritually appreciate what is happening, it remains out of reach for me. This is not a critique so much as a source of wonder. At the same time, it reminds me of my own woundedness as I bear a lifelong struggle with feelings of loneliness. I suspect that at least part of what keeps me as a curious observer of Orthodoxy is a fear that this feeling of being an outsider will remain even were I to enter “in.” And the ethnic ethos and stark differences from everything familiarly Christian only serve to exacerbate this fear. There is much for me to ponder in this. Thank you for sharing it, and please pray for me. Not only do I empathize with your hurt, I feel it as acutely as you. You have taken courageous and significant steps to mend the rupture of your Protestant heritage as much as it pertains to you by moving to the RCC…at no doubt great personal cost and pain. Many of us know that pain and cost all too well. To me, is sounds as if you are continuing down that road. To that end, I apologize for the long post…but I hope you find it useful in some manner. For my part, after having been injured in Afghanistan I was lucky enough to spend two years of full time study on this aspect of Church history and ecclesiology alone…being as concerned as you are. Without that time of full-time study (which few ever have the luxury of) most of us trust leaders of our flocks. This is the critical piece. Growing up in a staunchly anti-Catholic milieu, my initial dissonance, not unlike most who foray into Church history was that nothing I had been told as a Protestant jived with the truth perceptible to anyone who can read in an unbiased manner. This left me – to my utter dismay – with only the RCC, OO, EO and possibly Church of the East as candidates for Apostolic Christianity. Understanding schism between them was a whole other ball of wax. If I might be so bold as to offer some suggestions…one way to remove your feelings and loyalties from the equation is to study only the schism of Chalcedon (OO and EO) and the schism of the Arians, or the Docetics, or Nestorians. Any number of these is a study in schism that does not directly relate to either the pride, because it does not involve you as a potential participant in schism. (RCC and EO agree on the nature of schism in these historical circumstances) Study the councils and ecclesiology very carefully looking for whether they were conciliar in nature – or papist. Pull the minutes (acta) of the councils. They exist. Come to your conclusions over the long haul of study about the place of Love as unity within the councils and polity of the Church. Bottom line…from an Orthodox standpoint, The issue of schism is not one primarily of dogmas and creeds, etc. Those things are tangential to the denial of love in consilarity, which is not only the “mode of being” of the Church – but the “mode of being” of God Himself – who gives His own Life (mode of being) to the Church as a gift of grace. But it must be continuously chosen by each person and each Bishop. “Lampstands can be taken away.” “Teachers are judged more harshly” and “savage wolves will come in among you, not sparing the flock.” God’s grace and judgement are equitable – not equal – and in the Orthodox view – God will judge the leaders of heterodox schism harshly – while those who follow in blindness and in purity of motive and heart will be judged according to their “talents.” Vatican II’s change of pneumatology was in fact the adoption of Orthodox pneumatology attained by Orthodox observers of Vatican II who would participate in coffee sessions with the RCC between sessions. The filioque – for all its faults is only a fruit of schism as fait accompli, not a cause proper. Had the Council of Aachen (and later Rome) been interested in the filioque being made ecumenical – they might have used the mode that the Church had always used for such things. The remainder of the Church may have found it perfectly acceptable. Instead, they went another route, saying to the rest of the body, “I don’t need you.” (1 Cor 12:21) That is primarily what remains unacceptable in the life of the Church from the standpoint of Orthodoxy. The Papacy, doctrinal “development,” corruption…all of these are secondary effects of the breach of ecclesial Love from our standpoint. If one does not understand the ecclesial consilarity of Orthodoxy – which of course we maintain (and can prove historically) has been the “mode of being” for the Holy Spirit operating in the Church from the beginning, one cannot properly understand schism or heresy…which again…have only tangential links to dogma and its articulation. The only authority in the Church is Love in the Holy Spirit (consilarity and mutual submission) Heretical dogmas are primarily about the denial of the Love of the Holy Spirit and the fruit of the ecclesial life as it has been lived since the beginning. As someone who sounds as if they are looking for historical resources — and who will be influenced by your own Magisterium (quite naturally) — I would like to offer a couple of sources that you might use to help find your way. Check these sources…you don’t need to trust them. This movement of yours, wherever it leads (even if it means staying RC for life) will be a long and difficult one…but one that must be continued, as God has laid it on your heart. For an understanding of Orthodoxy vis a vis Rome, I would recommend the following as introductions into historical material. Test it. Search it out. Stay where you are (RCC) and pray, take the sacraments. Speak with Orthodox AND RCC priests. If I’ve said anything above that is “off mark”…please correct me for my own and Aric’s edification. I wonder if the sense of being isolated (which I felt too) is not turned into feeling rejected by some folks who come? Three levels of isolation I see: 1. the actual sense of being out of communion; 2. the social sense of no feeling part of the group; 3. actual ethnic prejudice. As to the other differences, I never felt that. I was so blown away by the beauty of the icons, the presence of our Lord and the possibility of communion. Plus it never felt that strange to me. The ethnic prejudice did hit, but not until later. Tim, I think everybody fights loneliness–just in different ways. My gregarious wife didn’t used to be that way, she tells me. She changed her attitude and now simply does not see barriers to interacting with anyone else. Consequently she has been adopted into the sitti group of women in record time. I am quite different, she drags me along refusing to see me as ballast. Of course the ultimate cure for loneliness is deepening communion with our Lord. Only my own willingness to nurture my sins keeps me from that. I’m not saying this is easy, but the cure for loneliness is to love others. Do unto others as you would have them do unto you. I was so blown away by the beauty of the icons, the presence of our Lord and the possibility of communion. Plus it never felt that strange to me. Ditto. I went because the Liturgy was true and impacted me so greatly. I was originally in a Greek Orthodox church and, while it was not unfriendly, meeting others was not easy. I am currently attending a parish where the people have really reached out and make great effort to welcome others. The best advice I can give is to “go and worship” and let the rest fall into place as God wills. Blessings! 1) It is a word that can only be understood in the context of prayer as prayer itself – participation in the life of God and in one another’s life in and through God. 2) It is a word that also speaks of “shared-life” not the association of “self-existing beings.” God, Who is the only “self-existing One.” But not self-existing in the sense of isolation or non-relational. He, in Himself witnesses to the absolute necessity for relationship – shared life – as the basis of life. He shares His life in Himself. Likewise, He shares His shared life with us and shares in our life. Salvation is union of life – shared life – by grace (without confusion and without separation). Allow me to try to connect these two statements (first from Fr. Stephen, the second is yours). There are three possible outcomes in your dialectic. 1) One Church exists and all the others are mistaken. (what Rome and EO “claim” 2) All the churches are the images or reflections of the True Church (branch theory). 3) None of the churches are the One True Church because their has been a fundamental rupture or falling away (yours and many others view). Here is the thing though, the above dialectic (and all dialectic – all “reasoning”) stands on a first principle/axiom that itself can not be subject to the dialectic because it is what the dialectic itself starts from. In religious terms, all reason begins with faith. So when you assert that your reasoning “proves” rupture, your are really asserting an article of faith about the present reality of the Church of God and your “reasoning” is only a “proof” within your faith. Those withing the Church have a different first principle and axiom – our faith is different. How do we know what we know? By experience, we experience the Church of God and we have Faith in her, thus we begin our dialectic (our reasoning) from a different starting point, and low and behold we end up at a different place (conclusion or “proof”). We begin reasoning with wholeness, you begin reasoning with rupture and brokenness. We begin reasoning with the experience of the Reality of the Church here and now, you begin with the very lack of this Reality because your experience of said Reality is broken (ruptured). Because of your experience, life circumstances and faith commitments, you might not have ever encountered a man or women of the Church (or realized you have) and so what we are telling you is an occasion for “cognitive dissonance”. You might say “but the Orthodox are part of the ecumenical movement”. Yes, that does seem to be a contradiction, and on several levels it is. I am going to play the traitor and tell you the truth – those Orthodox who participate in the ecumenical movement are spies!! They don’t believe in the very basis of the ecumenical movement itself (which is a confusing and confused mixture of #2 and #3 above). They are not there to “heal a rupture” because (unless they have been compromised by a protestant/modern faith) they know of no such rupture, they know the very opposite (a wholeness). They are following St. Paul, becoming weak, becoming all things to all men so that SOME might be saved. Now, I don’t particularly like spies because at the end of the day I suspect they are probably not being entirely honest 😉 I am much more of a stand on the hill, blow the trumpets, then full frontal attack (and let the outcome be as it may) sort of guy and thus I get a sort of perverse pleasure in telling you this and betraying the Orthodox who would appear to “agree” with ecumenism and “dialogue”. However, in the end who am I to argue because if some are saved then all I can do is give thanks. A word about “dialogue”. Modern/protestant man could be described as “dialogos anthropos”. This man mistakes “dialogue” for Grace and Love Himself. From the macro level (think United Nations) to the interpersonal (think your family or perhaps your church council) to the inner man himself (think modern talk therapy) the cure for all his ills is “dialogue”. What actually happens in reality? Yak yak yak yak yak and modern/protestant man is still as sick as he was yesterday and will be as sick as he is today tomorrow. Indeed as your reading this right now you will notice the yak yak yak yak yak in your mind and that you can not read the very next word yak yak yak yak without being interrupted yak yak yak yak by the endless yak yak yak chatter yak yak yak of your “self” (yak yak yak but yak yak yak I am in yak yak yak “control”…yak yak…yak yak…yak yak yak). The Church calls us instead not to “dialogue” but to a kind of prayer which leads to Silence (and conversely modern protestantism calls man to a kind of prayer which leads to yak yak yak yak). We don’t need more “dialogue” on any level, we need silence so that we can sit at the foot of our Lord, fully clothed and in our right mind (Luke 8). I have yet to make a systematic study of this subject and of Romanides, Farrell, and others. However, based on my skimming of the subject and a good history professor I had as an undergraduate I am convinced of its truth. Perhaps someday I will start with your essay! Thank you very much Christopher. I have not read it…and look forward to doing so. These are very important observations. What is being felt and described are aspects of shame. Shame is universal and pervasive in our lives, but poorly understood. I’ve written some on it and have been doing talks on it in my travels. I think that there is an inherent experience of shame that surrounds conversion. It can be a source of great spiritual growth – but is often unrecognized, untended, and neglected, in which case it simply feels like a major wall of unpleasant feelings in our lives. In your reply to Aric I couldn’t help but be struck by the dissonance it creates for people regarding the ecumenical movement and “spies”. You are exactly right, and I’d give a modern correlary. I spent several years working at US embassies abroad. I’m not giving away anything that is not widely known among diplomats of every country…nor is this truth a secret…but the primary purpose of Embassies IS NOT, as the average citizen might think, for diplomacy or as a resource for American citizens. Do they do these things? Sure. It’s called cover and legitimization. In point of fact all embassies are intelligence gathering centers and influence peddlers. Spy posts. It’s the way of diplomatic relations (i.e. Skill craft) and all countries are in the know regarding this. Some of our closest allies are the ones we should worry about the most. Anyway…it’s a secular correlary that I thought was interesting. The motives are not always impure or sinister, but quite utilitarian and Germaine to the “good”…whatever that is. I never thought of our partipation in the ecumenical movement that way at all…but it makes sense. Lastly, is Farrell’s work here actually translationsof materials from scotius, Charlemagne and Leo? I’m having triuble determining the provenance of these writings. Are they legit? First, I don’t hold the view that there is no One True Church. As a Catholic I profess that it exists and I exist in it, I was only demonstrating that it is tragic that there exists multiple claims to this same truth (thus proving one side in tragic error). I’m not sure I understand your second paragraph, forgive me. As to your third, I would humbly point out that a RC would claim the same thing—that is, I would claim that my experience with the Church begins with faith and wholeness. To be clear, the point I’m making is that there are two groups of individuals claiming the same thing, yet ending with conflicting truths. I understand what you’re saying about some Orthodox being “spies” and betraying the truth of ecumenism, because I understand what you are saying about unity. But if I’m harboring any cognitive dissonance, it’s not because I’ve never met someone who claims to be a man of faith in unity with the Church, but rather because I’ve met so many who claim such a thing and yet are not united with others who claim the same. This is the season of Lent for me, and your admonition regarding the importance of silence and prayer is convicting. One of my goals is to spend more time in silence during this season, simply being. It is especially difficult, however, when there is a constant sense of of brokenness looming over those two opposing communities claiming to be the One, Holy, Catholic and Apostolic Church. Ultimately this comes down to competing claims, this is an epistemological non-starter. The task is to understand which is more consonant with Scripture, history, tradition, the Councils, spirituality etc. It’s a journey that requires careful attention to the signs to reach one’s destination, not a frog march into certainty. It is interesting to note that you are an active RC because from as best as I can tell, thoughtful post Vatican II expression of Church and ecumenism falls into #3 (“two lungs”, etc. ), except when it doesn’t and it strongly asserts #1. Some of this it is “spy games” and the ambiguity that arises in the world of “counter intelligence”. Of course, RC itself is still picking itself off up turf after having it’s bell rung from Vatican II so perhaps the inconsistency is a real internal ambiguity. Regardless, I send my daughter to the local RC school and as far as I can tell the local RC church is a strange mixture of Classical Christian memory with a strong (and strengthening) protestant mindset (in my little corner of American RCism). I would say that all philosophical and religious “systems” make ultimate truth claims, even the ones that say something about the limitation of their own ultimate claim (which is itself an ultimate claim 😉 ). You know that bumper sticker that spells out “coexist” with the symbols of “world religion”? Well behind such a statement is an ultimate truth claim about “how we are all to get along” that places itself over and above the claims that each of the symbols point to because it too rests on assumptions about who and what we are and who and what God and “the universe” are. It also is a description of where most of those high school/college kids are in my experience – it is their “religion” and they are filtering Christianity through it. I will let you know what shakes from this, but I’m not sure that is actually a legitimate piece of history. Can you shed any light on it? Christopher, I don’t think “spies” is quite what faithful Orthodox observers within the WCC intend to be (although, I recognize you may be speaking a bit tongue in cheek here). The word I have heard consistently used is “witnesses” (to the fullness of Orthodoxy). So, yes, it is quite true that the original agenda of the Orthodox presence in the WCC has always been at odds in this way with that of the Protestant groups represented there. If you knew that already…please disregard…I may have misunderstood you thinking you were stating these were genuine historical texts. He’s sort of famous for his position – and it had something to do with the trouble he got in viz. Rome. But his defense was the Eastern Fathers. It’s how he understood what he was given. I’ll track down some sources. Of course, there are weird folks out there who want to use him for their own ends. He gets cited as some kind of “Western mystic” when, in fact, he seems to have been nothing more than a Westerner who understood and believed the teaching of the Eastern fathers. Fascinating character. Thanks, all, for your comments in response to what I shared about my experience of loneliness. I find much to agree with in what you have said. There are other factors requiring prudence and wisdom that also keep me from directly diving “in”, but I don’t think I had squarely acknowledged the (fear of) loneliness as a barrier until today. And, yes, Father Stephen, I agree that shame is at the core of it. Thanks largely to you, I have “seen the light” on shame. I don’t think that it is hyperbole to say that it is one of the the most helpful insights I have ever received. Please keep writing and speaking on it so that I can keep learning to bear it! I am afk right now and responding on my phone but this is really disappointing! I appreciate the open and charitable spirit you have shown in your comments. My journey was sort of the opposite of yours; I was raised Catholic and left for what I thought was a better interpretation of Scripture, the Evangelical Protestant one. When that began to unravel, my questions weren’t about which was the “true Church” – I simply wanted a theology that was organic and seamless, and was focused on the goodness of God. The Orthodox Church was a refuge for me; in one sense I was running away from certain things, but behind and underneath that I was really running toward the most important thing. I briefly considered reverting, but didn’t mainly because I couldn’t see God anywhere in the West as the One who is Good and Loves mankind the way God is seen in Orthodoxy. I won’t take up any more comment space by elaborating on that; it’s just how it shook out for me. If you’re willing to countenance yet another book recommendation 😉 Philip Sherrard’s “Church, Papacy and Schism” (3rd ed.) was extremely helpful for me in understanding what it is exactly that lies beneath the differences that took hold and propelled the schism of 1054. All of the reasons for the schism set forth in comments above were grounded in the major difference in view between the West and the East that Sherrard discusses. It’s a slim volume, but there is much to chew on. The whole business is painful, and one of the many things I appreciate about Fr Stephen is that he is honest about the pain. May Our Lord help you, and all of us. Yep, the “mytholog.com” link is not a legitimate translation of anything – Farrell appears to be doing something along the lines of Kreeft’s “Socrates Meets Jesus”. Follow him much farther than this and your into “UFO’s” and the like – too bad as he is a real bonafide genius. Father, I recommend deleting the link as it might lead some down a rabbit hole to what end I do not know. 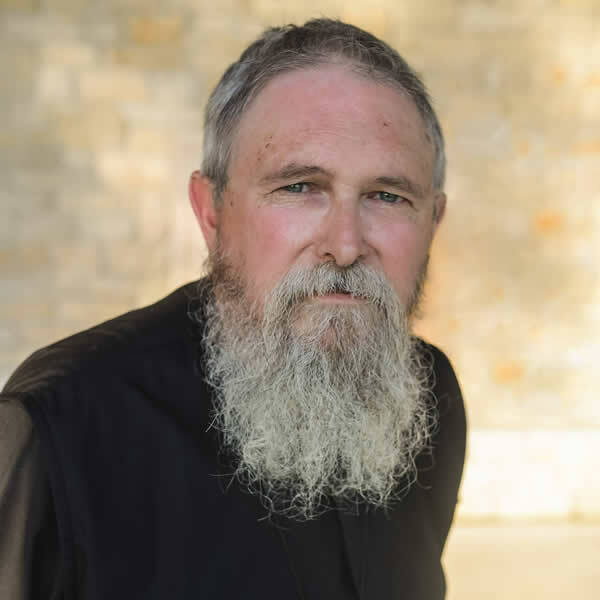 His earlier translation work “The Mystagogy of the Holy Spirit” is published by Holy Cross and his PhD expansion “Free Choice in St. Maximus the Confessor” is published by St. Tikon’s Seminary Press and both are legitimate scholarship unless someone disabuses me of that. On “spies” and ecumenism, I do want to stand by an interpretation and understanding of what the Orthodox are doing that emphasizes this kind of “subversive” strategy. I have heard the “witness” defense also, but it stands against the explicit self-understanding and goals of these organizations and it is rather clear that most everyone else interprets our participation in light of these “above board” goals. Now granted, these organizations are not what they used to be and the “faith and order” work appears to have all but completely fallen by the wayside. Still, in the modern context there is an understanding of “dialogue” that simply is not conducive to “‘witness” so, I at least have trouble using the word “witness” with a straight face. The keys, at least for me: an encounter with Jesus Christ followed by 20 years trying to figure out where He wanted me. My personal guide during that time was looking for the truth combined with the willingness to change to be in accord with the truth. The first time I walked into an Orthodox Church I knew something was quite different. It took me nine months to come to terms with what I was seeing, learning and experiencing. While I still have the same process, it has continued to lead me more deeply into the Church while at the same time teaching me to be more compassionate with those who are not yet there, in part because of the human sinfulness that is part and parcel to any effort by human beings to approach God. The fact that “All things will be revealed” can be hard to bear in our own hearts most of all. If we wish, with Goethe’s Faust for that moment when time stands still because all is perfect, we will loose our way. Along the way I look for lovers of Jesus. When I run across them they are precious. One of the reasons I like coming to this blog. May I applaud your vim and vigour in reading all the comments on this post. I’m not sure your could have anticipated such a large harvest! Discussion of ‘how’ that came to be is an academic endeavour. Now, the filioque. Is it fair to say that the Orthodox Church does not find it heretical? However, as it was not cleared by the College of Bishops of the Church, it is not canonical (lawful) to add to the Nicene Creed. Note I’m inferring St. Paul’s use of “law”. If the premise of the filioque not being heretical, for goodness sake, bring together the College of Bishops of the Orthodox Catholic Faith and make a determination! As for ‘Anglicanism’. It is truthfully the fulfilment of the Angle culture as used by the Church. The same as the ‘Greekism’ or ‘Russianism’ or ‘Egyptianism’ or ‘Syriacism’ are the fulfilment of those cultures by the Church. What the Eastern Church has as an ocular impact of Heaven with the splendid array of Icons throughout the Church, and the greeting all the Saints through those windows by the laity during the Mass, so Anglicanism has this aurally through the laity singing hymns, secondary to the Psalter. Anglo-Catholicism had its roots in Celtic-Orthodoxy when the Church of the Angles was already in existence prior to St. Augustine’s arrival. The same Bishops (descendants through the Cup of the Apostles) continued to Ordain Priests and Bishops to this day. Heaven knows how much Angle blood has been spilt in defending the Faith. But it is to this day defended and resides in the Anglican Catholic Church. There are differences of ‘law’, but the Faith is the same as ROCOR. I have a dream… that one day the Anglican Catholic Primate and the Primates of the Orthodox Church can sit together and discuss the matters of Faith, and to be instructed of one another, and to agree the Faith. The Apostles did not get along all the time, notably St. Peter and Paul had arguments noteworthy to be in the Scriptures. And let’s not forget the Thunder Brothers. I am Anglican-Catholic Father, and I find nothing more ‘homely’ than meeting someone of the same faith as I have, the Orthodox Catholic Faith. That there are man driven bureaucracies surrounding the Church like scaffolding that do not link up does not deteriorate front the Church. The Priesthood should protect the Church, not the Church the Priesthood. I feel this is where Rome has fallen somewhat. A healthy helping of humility would go a long way to unity. But I would not like to see human culture bulldozed for the ego of the Priesthood. That sounds more like that religion that shall not be named. You have a very happy view of much of this. It glosses over a great deal and dismisses much that is essential, it seems to me. As a former Anglican who became Orthodox at great cost and difficulty, all I can say is that I think you’re profoundly mistaken. My journey was about 20 years in the making. I considered very well the various things you have shared and found them, one by one, to not hold up or be honestly the case. I assume that as an Anglican-Catholic you are not in communion with the main bodies of Anglicanism. That, I think is good, but you are simply part of a new-styled denomination, one of many waves of splinters Protestantism has created over the centuries. There is a place for much that Anglicans treasure within Orthodoxy. There are Western-Rite Orthodox, for example. I am a decidedly American-Appalachian Orthodox, who serves in a Church that, in my diocese, is frequently very reflective of its cultural roots. That will only grow as the Church grows. Much that is described as “Anglican” is deeply rooted in English class prejudice and 19th century Romanticism. It has little more claim to be the Church of England than do the Baptists, except that it once enjoyed Royal privilege and State support. The Reformation was a deeply bloody thing that raped the Church and put something else in its place. Read a healthy dose of Eamon Duffy. Anglicanism is to Catholicism what the “Living Church” was to the Orthodox Church in the Bolshevik period. It was a state-created ersatz Church substituted for the real Church for the purposes of the State. That, I think, is historical fact. You may like what the result has given you, but the connection between that fiction and the early Orthodox Church of England is purely an exercise in historical imagination. I do not say this with malice, but as one who has walked a path that included as much honesty as I could bring. I’m weary of make-believe. Whenever this topic of the One Cup comes up it is an occasion of learning, wonder, frustration and sadness for me – as it should be in this broken world. However I don’t really have any interest in the ecumenical pursuit of administrative unity. That doesn’t seem like a possible thing until the life to come, and if it did occur it would probably look something more like “1984” than Heaven. I am willing to accept that Orthodoxy has for the most part maintained the true faith and theology handed down through the ages, but it is the attitude with which they hold this that leaves me…..adrift. One of the best pictures of what things should look like in this case seems to be the Parable of the Prodigal Son. It says that when the prodigal did return, the father saw him from far off, ran out to meet him and fell on his neck weeping. This is beautiful – and rarely seen in this world. I don’t know anything about the ecumenical efforts that have been/are going on, but my personal experience of the EO has been more like receiving a telegram from them that says in effect, “If you want the truth, you know how to get here. We’ll leave the door open….barely.” As you admitted the tone sounds triumphalistic and recalcitrant. It is a far cry from the father’s response in the parable. I know that there are historical reasons the Orthodox are hesitant and that they were hurt and abandoned in the past, but surely the father could also claim these things – and does not. I don’t ask you to explain or apologize for anything because I know this is a complex issue. I’m simply sharing with you the main impediment I find in becoming Orthodox. The theology warms my heart and rings true in my heart, but the reception or lack thereof leaves me cold and feeling like life with the pigs might at least bring more acceptance. Except for you. You and the writings of the Fathers (even contemporary ones like Schmemann) are the reasons I’m still here, still listening, still receiving growth and nourishment from things with the Orthodox label. Thank you for this, for spreading your pearls before swine, sharing your crumbs with the little dogs and your heavenly manna with publicans and prostitutes like me. My family and I were received in 1998 on the Sunday of the Prodigal Son. It was, indeed, a joyous and welcome reception. It is also true that my life and ministry were quite bumpy and sometimes marked with darkness and shame in the aftermath of that reception. Remember, the older brother lived in the house as well! The Father loves him, too, even if he wants to spoil the party. But God has used all of that for my salvation. In the long run, I have to point to the ring, the robe and the fatted calf. My life and ministry in Orthodoxy would have never been possible within Anglicanism. My ministry is beyond anything I ever imagined. Good grief! I’ve been translated into about 10 languages and published across the Orthodox world! What outrageous treatment for a convert! And I look at the history of the former EO parishes that have come into the Church. My son-in-law is from that background (his father was in the first group with Fr. Peter Gilquist, et al). My son-in-law is a priest (as is his brother) and has a wonderful, flourishing ministry! The wave of good things that came into American Orthodoxy as a result of the reception of the EO can hardly be overstated. And though its beginnings were rough, occasionally, and there were lots of noisy older brothers, who can doubt or gainsay the fruit! The Father is not going to throw the older brother out. He had kind words for him. But none of those things, the joy, the reward, the healing, etc., happen while standing outside and wondering. I had plenty of roadblocks in my journey. Some of them stung. I think that occasionally, as we’re making our way to the Father’s house, the older brother and his friends meet us on the way, and do and say many stupid things. But nothing they do or say will change the Father’s heart. I found that unchangeable Father’s heart in the person of Archbishop Dmitri of Dallas, a gentle soul who received and robed so many! He invited me into the younger brother’s club (so to speak). There are many like him – at least enough to know that the Father’s heart is present and is not leaving. God give us grace! Thanks for your encouragement. It is more than I could have hoped for. I’ve always had a real struggle with feeling intensely out of place at Orthodox services. Theologically I believe it is the true Church, but there seems to be a gulf between that theology and my experience of it at Liturgy. I struggle so with my skepticism and my modern mind that I am doubting myself and the Church with every proclamation of the truth. Sometimes I just feel a desperate need to retreat. I approach it all in a terribly flawed manner, but I keep trying in fits and starts. What you are describing is truly a difficult struggle. I think that one of the first things I encountered in an Orthodox service was somewhat similar, particularly in that my experience was deeply colored by thoughts and fears of everything that becoming Orthodox would cost me at the time. It was a storefront. It was shabby. A huge scandal between a monastery and my bishop erupted just months before my conversion. It was terribly messy. That is to say, I was aware of terrible contradictions between the reality and the ideal. By the same token, I think, we would be deeply scandalized by the contradictions of Jesus the Jew and the incarnate Messiah. A mole in the wrong place, any number of things. And every strange contradiction would be magnified, particularly in our troubled minds and in the whispers of the adversary. Such whispers spelled disaster for Judas. What I think, and have found, is that incarnate reality, true Divine Incarnation, is much different than something ideal. If the Orthodox Church is the true Church, then that is how the true Church looks. Instead, we think we already know how the true Church looks and are disturbed by the contradiction. This, I think, is essentially Protestant (which can be so idealistic that it is never incarnational). A lot of this is about living in a One-Storey Universe and actually finding out what that means. The universe, as it is, is a wonderful thing, a marvel of Beauty. But we are blinded by the imagination and cannot see what is in front of us. This kind of thinking keeps many people from getting married or ruins their marriages. My wife is exquisitely beautiful. It took me some time to see what was in front of my all of these years. The same is true of the world. And it is true of the One True Church. If Orthodoxy is not the true church, I do not know where one would go to find it. It is the pearl of great price, encrusted with Jews and Greeks (causing the English to stutter and hesitate). Also, you must remember that the Church you are looking at is being crucified moment by moment. “He had no beauty that we should desire Him…” Much of what we cannot abide about Orthodoxy is simply the marks of its crucifixion. I’ve gone through several different phases in my exploration of Orthodoxy. First, I was delighted to find Christianity which didn’t contain all the contradictions that made it so difficult for me to consider being a Christian. But I was very concerned about what becoming Orthodox would cost me, especially my worldview. It was a scary proposition to see things so differently, to have to re-evaluate everything in a new light. As I write this, and think back on the process, I suppose my exploration of Orthodoxy has just been this one phase, lived out over and over again, with incremental improvement, more openness, more willingness, with each attempt. I don’t think, for me, the struggle is primarily with the imperfections of the Church, but its a struggle with my own formation in modernity. Its a struggle to approach without a skeptical, Enlightenment mind, and to develop the eyesight to perceive in Liturgical service what I am able to perceive in creation, where I believe I can really grasp the sacramental nature of creation. It makes sense, but more importantly, I can experience it in the heart. So far I haven’t been able to experience services with that same depth. It seems the “whispers of the adversary” really become loudest in services, my modern wordview, my skepticism, my agnosticism start to ring in my ears. I can’t pick up on that wonder and beauty much of the time. I just see it with the eyes of any garden variety materialist. I can grasp its significance when I read “For the Life of World”, but its a struggle to get out of my head and experience it as more than ritualized worship and symbol. They are my own hangups, but formed in a world where virgin birth and resurrection from the dead are viewed as utterly preposterous, where God is in his world up there, and we are in our world down here, it is a great challenge to me to get over the hump. I think it leaves me feeling so out of place, because I am! Because to be a Christian is in a large measure to be outside of modernity, and I’m still trying to get there. GK Chesteron had a great line to the effect that the Church “is the only thing that saves a man from the degrading slavery of being a child of his age.” Maybe ironic to bring that up in this thread, but a good insight nonetheless. Thank you…good thoughts on how this journey sometimes feels. There were points for me in which I just let go – sort of like allowing myself to lapse into near pagan status. That will doubtless sound odd to many folk. But I’ve observed that a One-Storey universe looks like superstition and paganism to a modern – at least at first glance. I think of it as “stepping sideways,” saying, “What if this were all true?” And, as I say, just falling into it. I’ve fallen into enough that it often is true – or I see the truth of it – my modernized mind is slowly being transformed. One suggestion. Sing a lot more. Chant your prayers sometimes. Singing allows the heart to do some things that modernity cannot grasp. When the spell of modernity is finally broken, it will happen as a song. It occurs to me that the defection of Judas must have been a huge scandal to all who knew of it. How proud the Pharisees must have been to turn one of His own against Him…. A friend once told me he had to leave a visit to a monastery due to the spiritual warfare he encountered there; he could not handle it. Where the presence of God and His Church is, the demons will shout louder to try and turn us away. I understand what you mean about Paganism. I certainly don’t embrace it, but I can see more in common between the Pagan worldview and the Christian worldview than I can find between the Christian worldview and the modern or post-modern worldviews. I think “primitive man” had a much easier conversion process in that way. I will sing more! Thank you again Father, I really appreciate your work. Thanks for your comments as well. I very much agree.